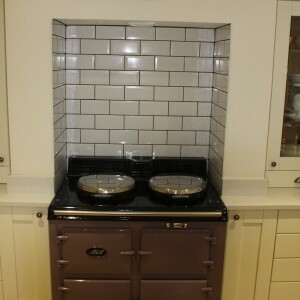 A great example of the classic kitchen diner. 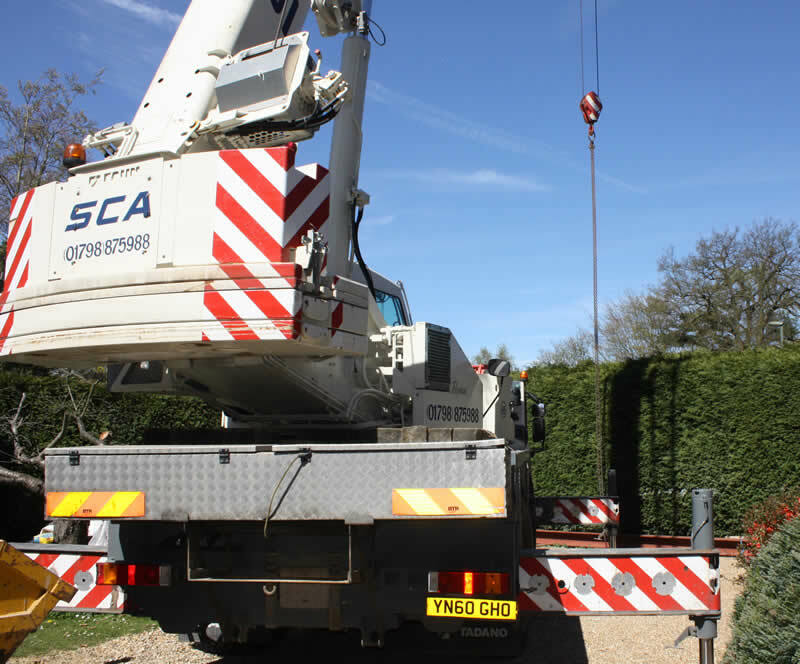 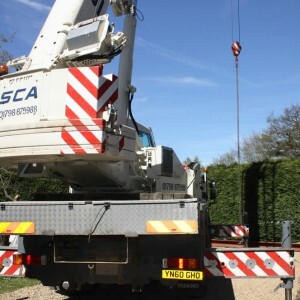 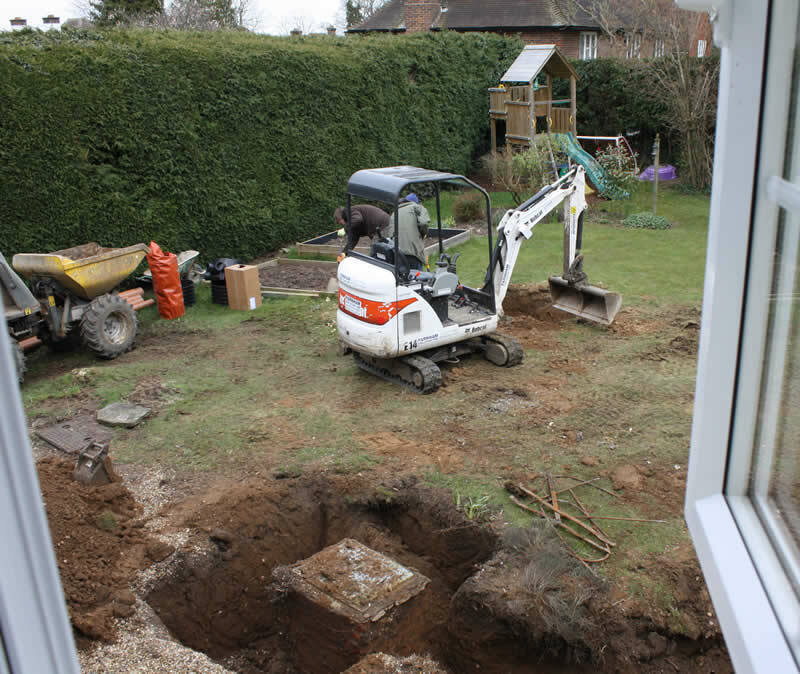 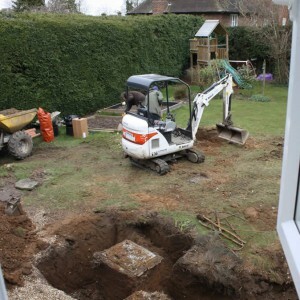 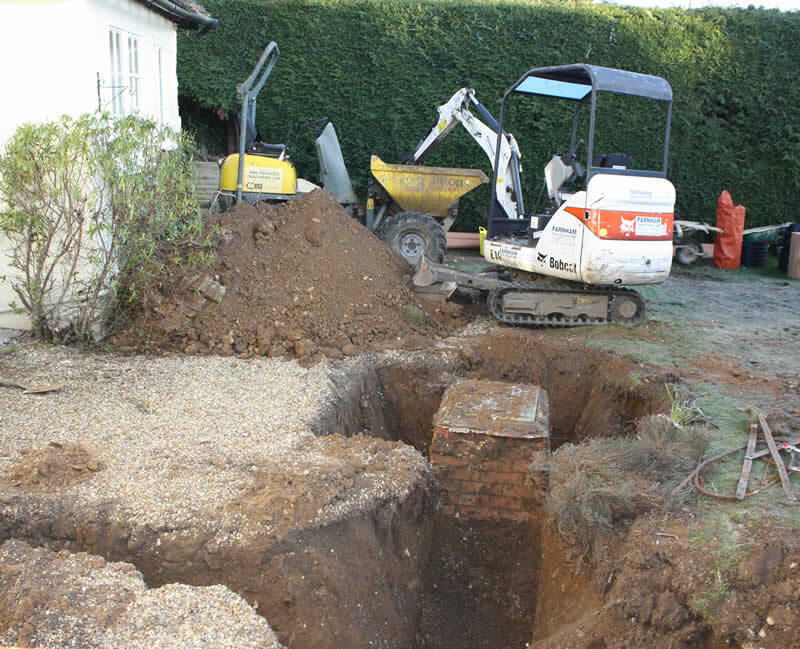 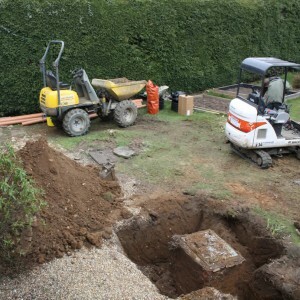 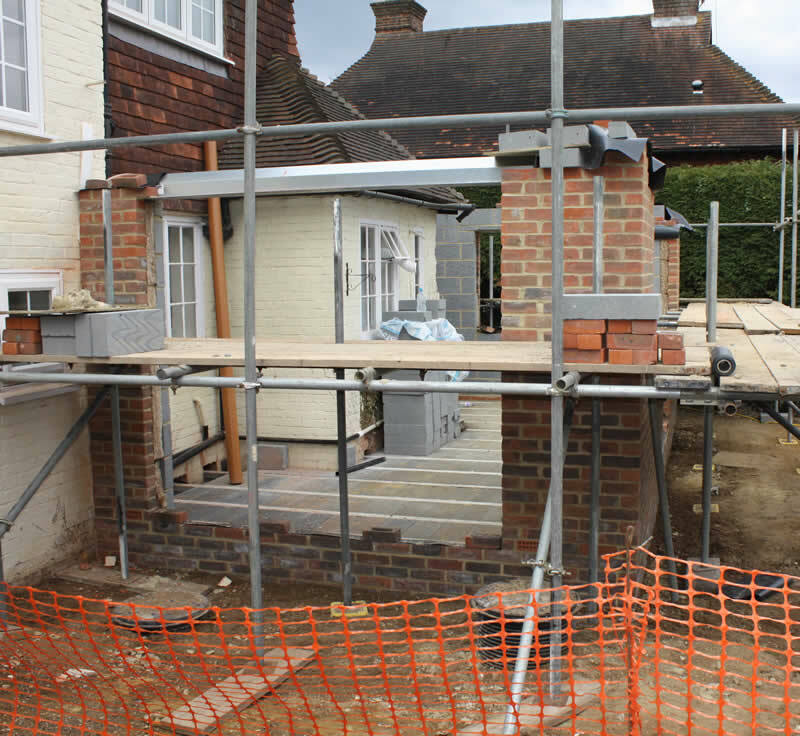 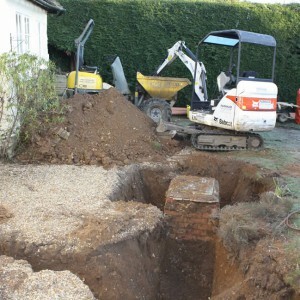 This project had a 225mm main sewer running through the garden at a depth of about 1.7m this had to remain on throughout the ground work phase. 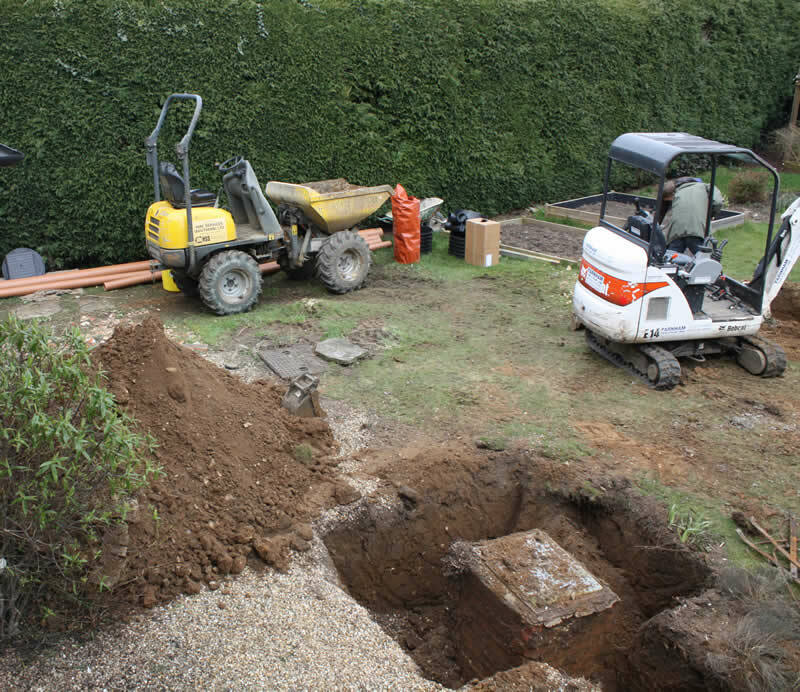 The new extension footings were to be right over this pipe so the structural engineer designed ground beams and concrete pads to avoid any loading onto this pipe. 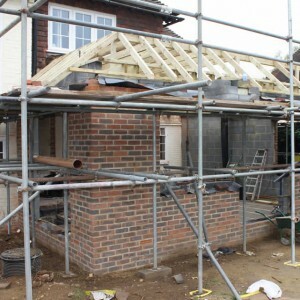 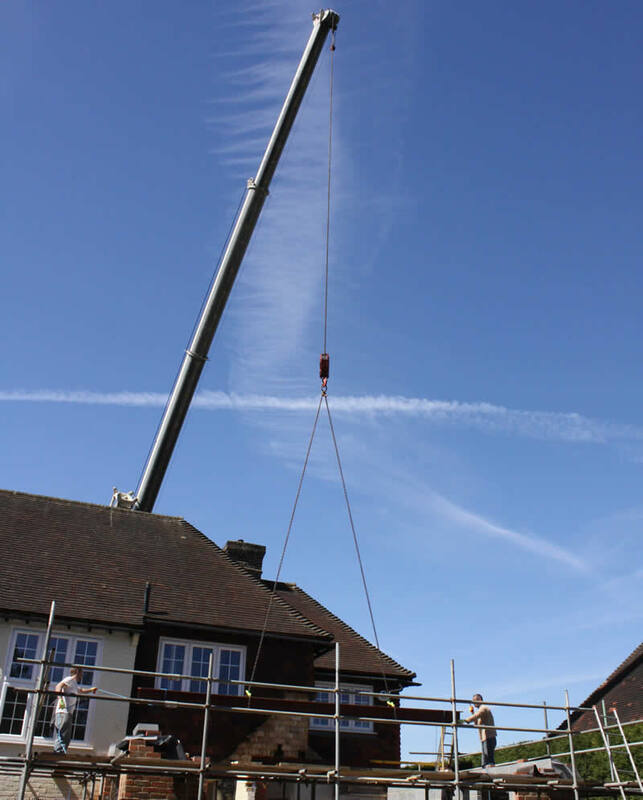 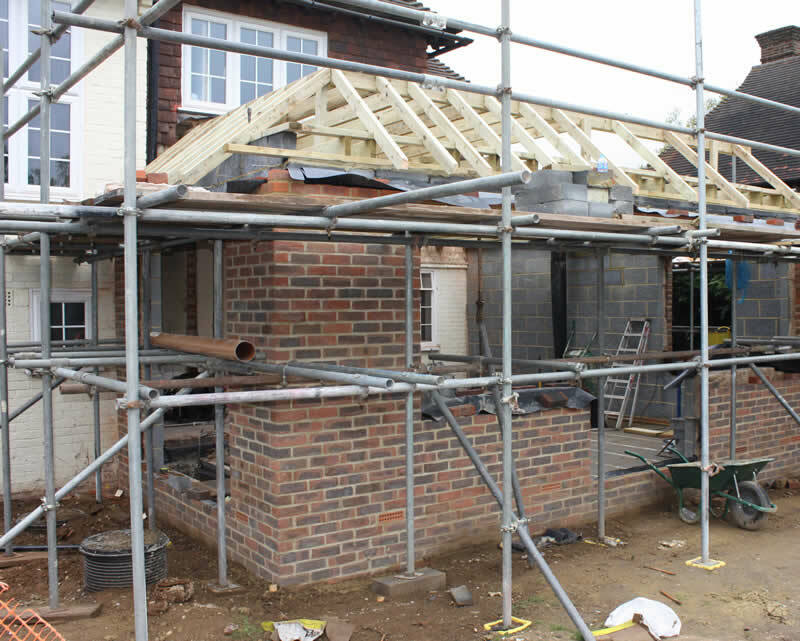 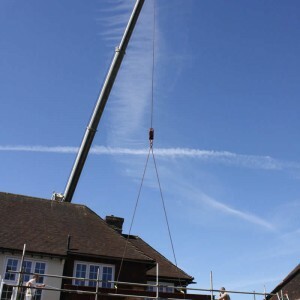 Once the brick and block works were up we pitched the roof and employed a specialist contractor to install a zinc roof covering. 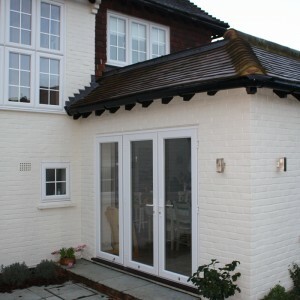 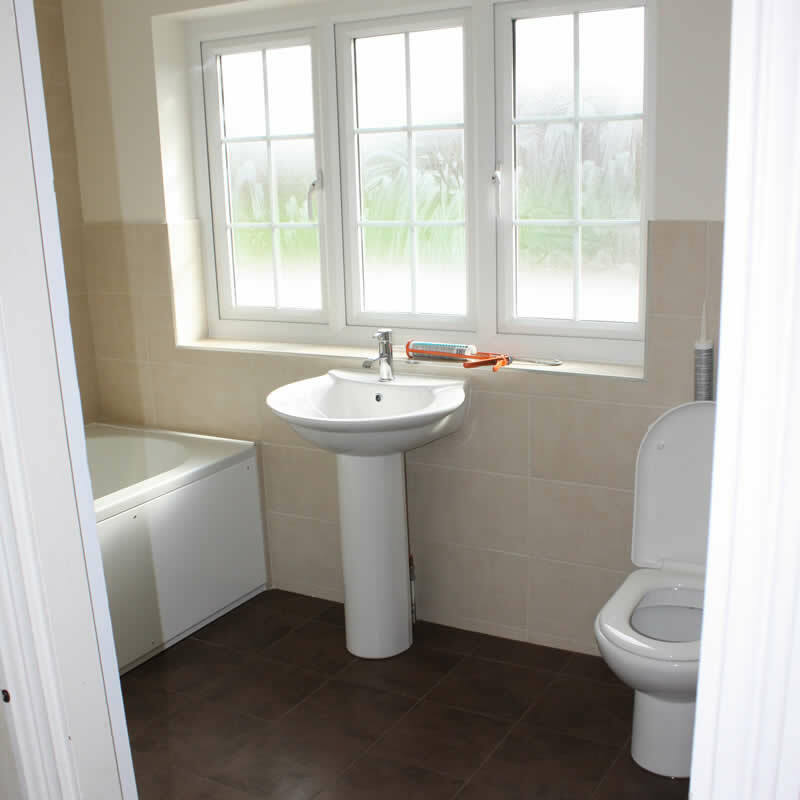 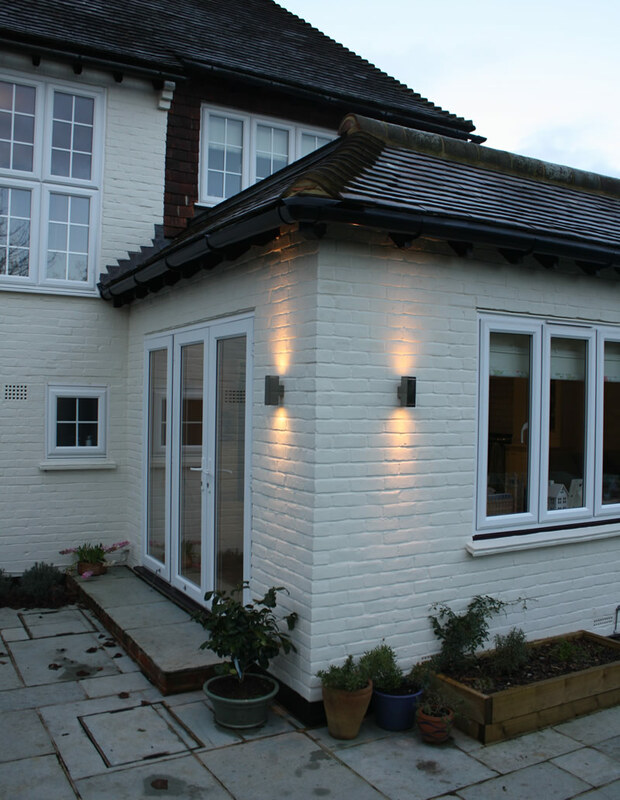 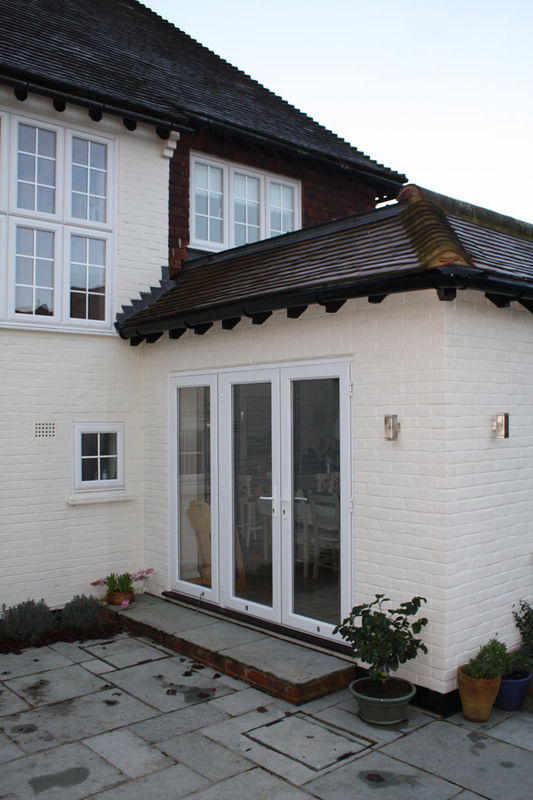 As part of this project it was also necessary to make the back third of the garage into a habitable space so we could make a utility room just off of the kitchen to house the washing machine Tumble dryer and boiler. 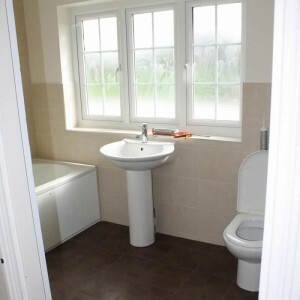 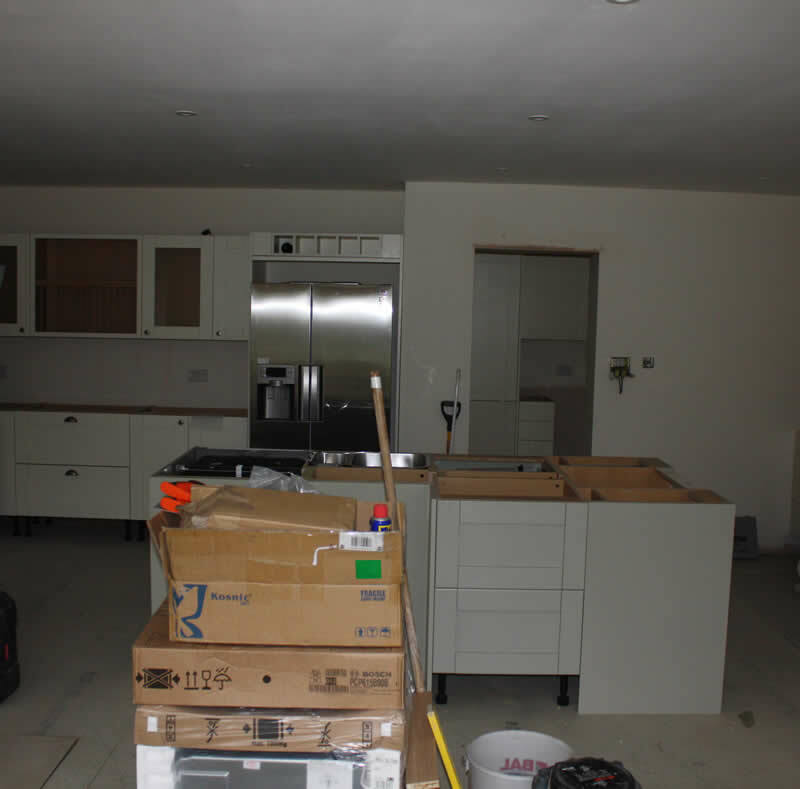 The main kitchen diner had a wet under floor heating system installed running of the new boiler so to eliminate the need for any radiators. 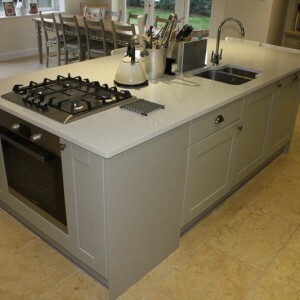 We managed to negotiate a very good deal on behalf of our client from our supplier for the kitchen that we then installed. 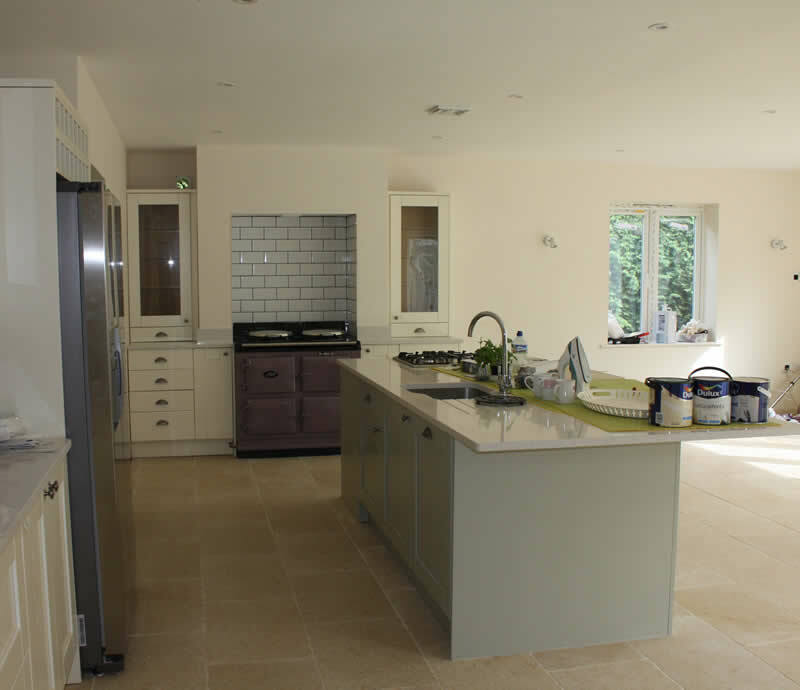 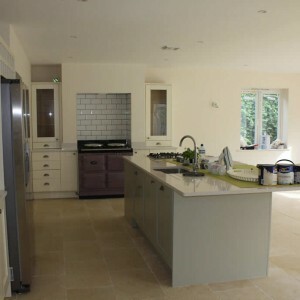 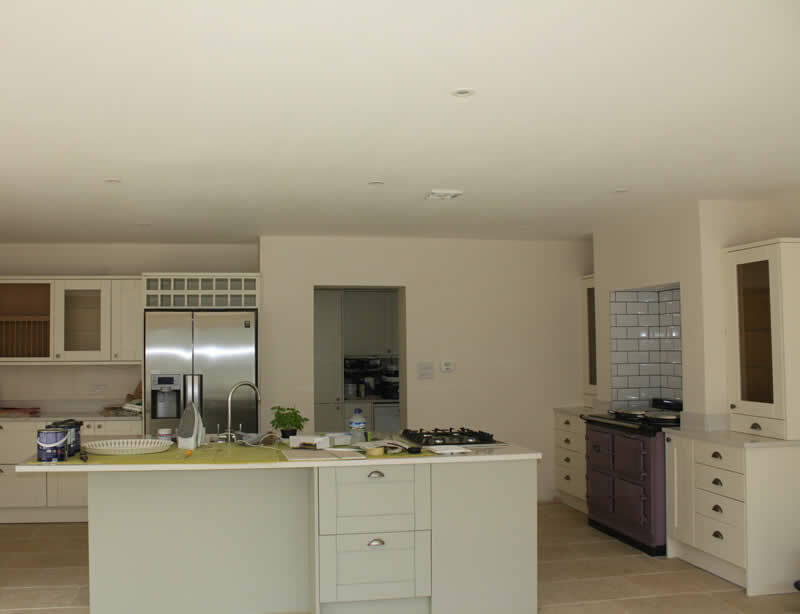 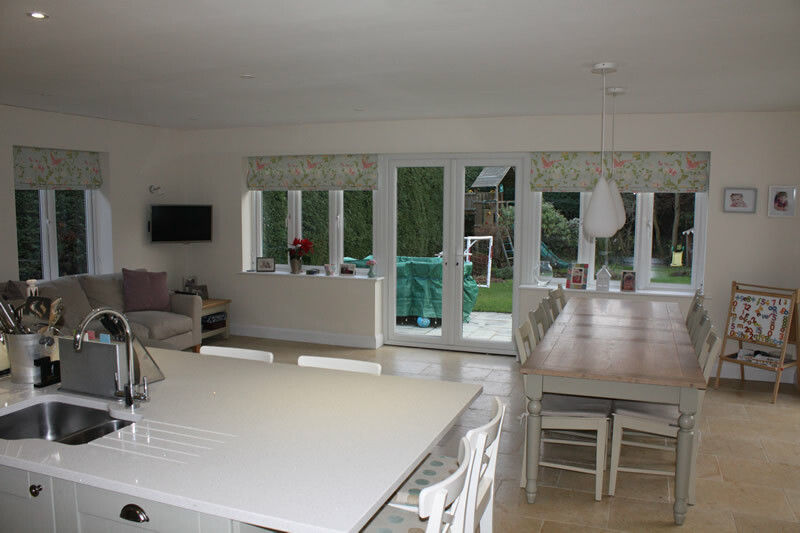 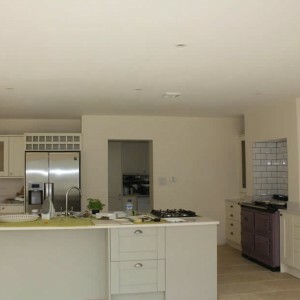 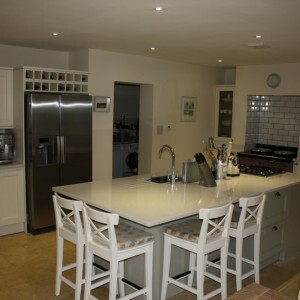 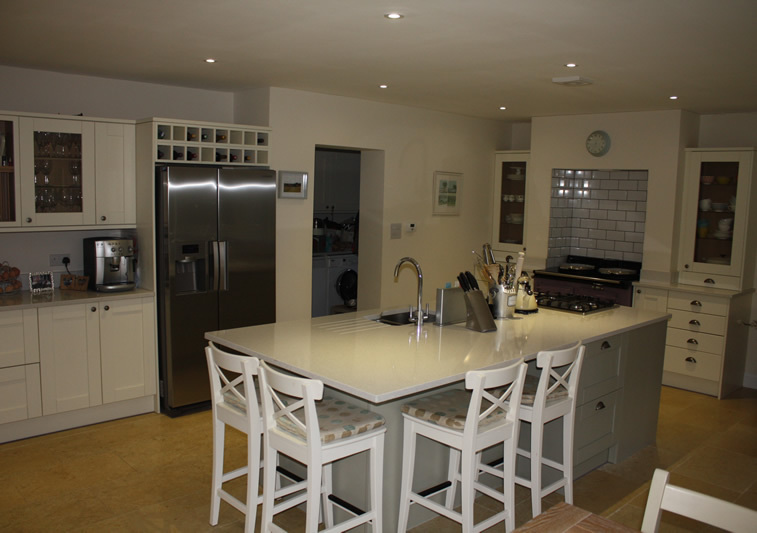 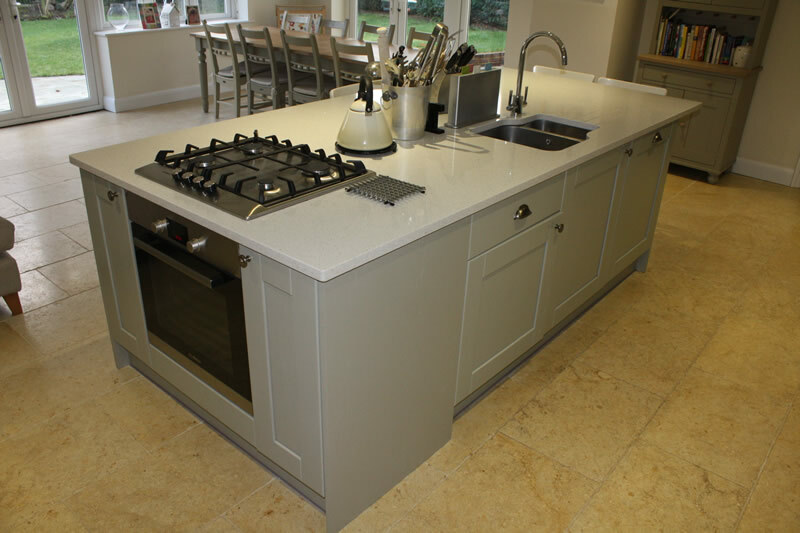 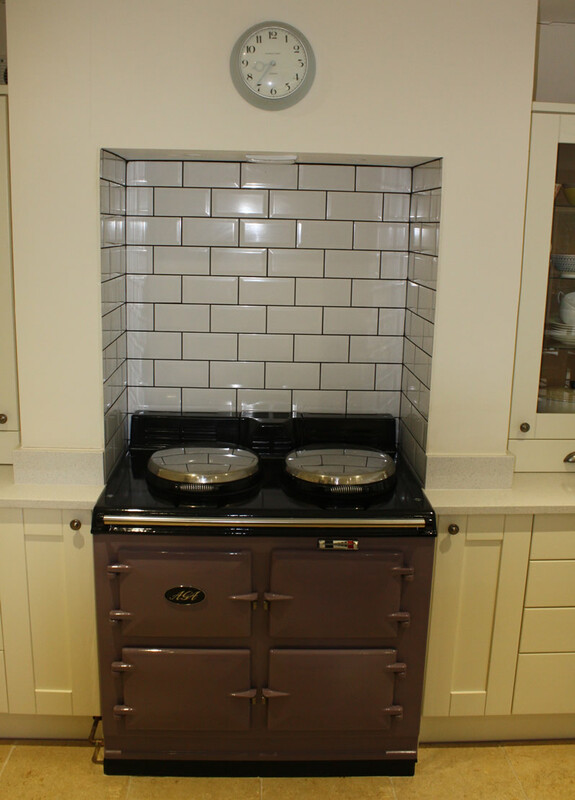 The client used external contractors for the granite worktops and had an Arga stove fitted by Arga, we liaised with both these contractors throughout the fit out process so there was a seamless finish to the end result. 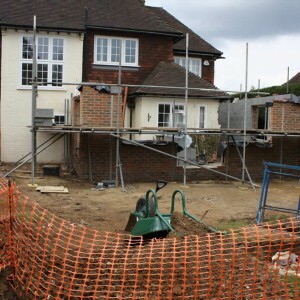 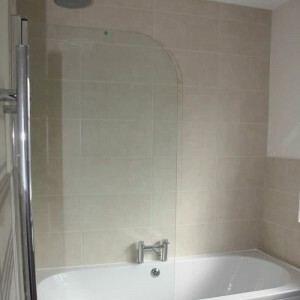 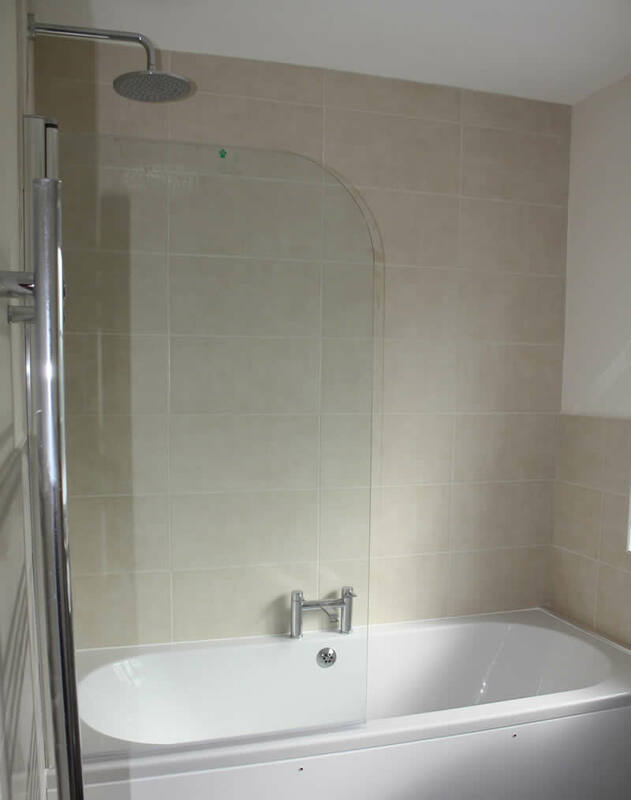 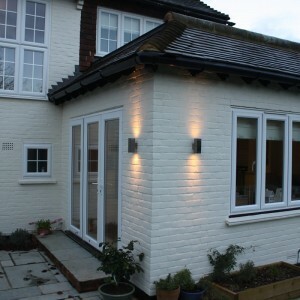 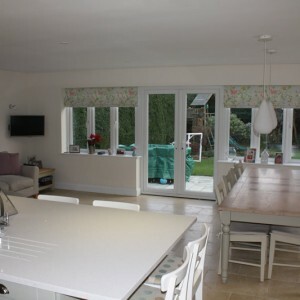 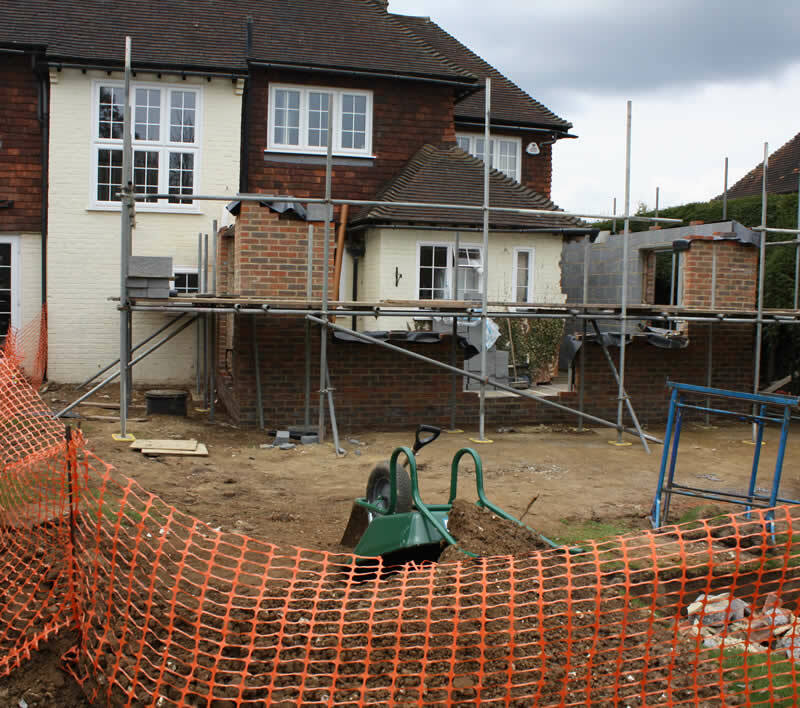 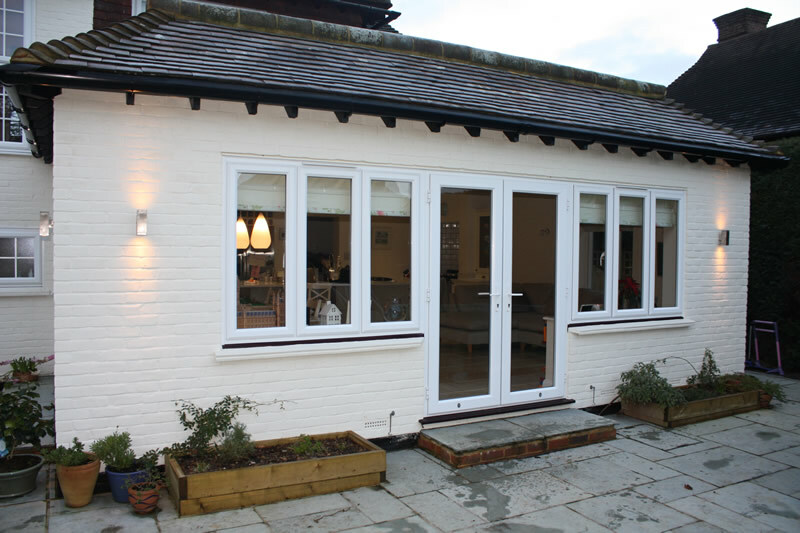 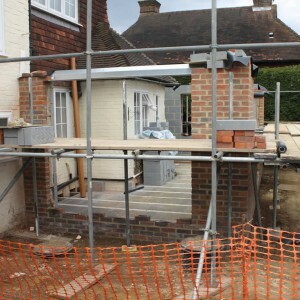 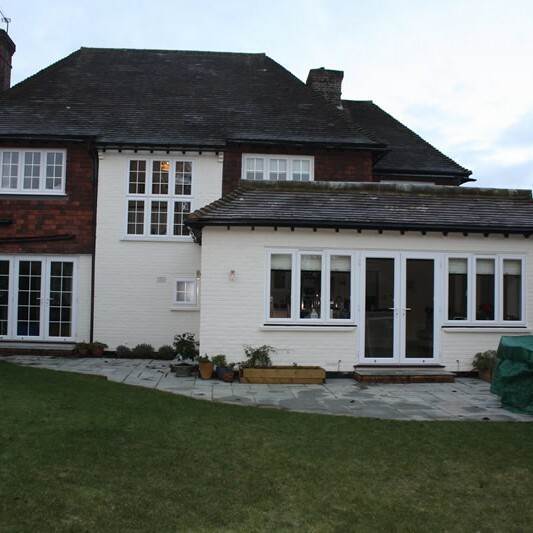 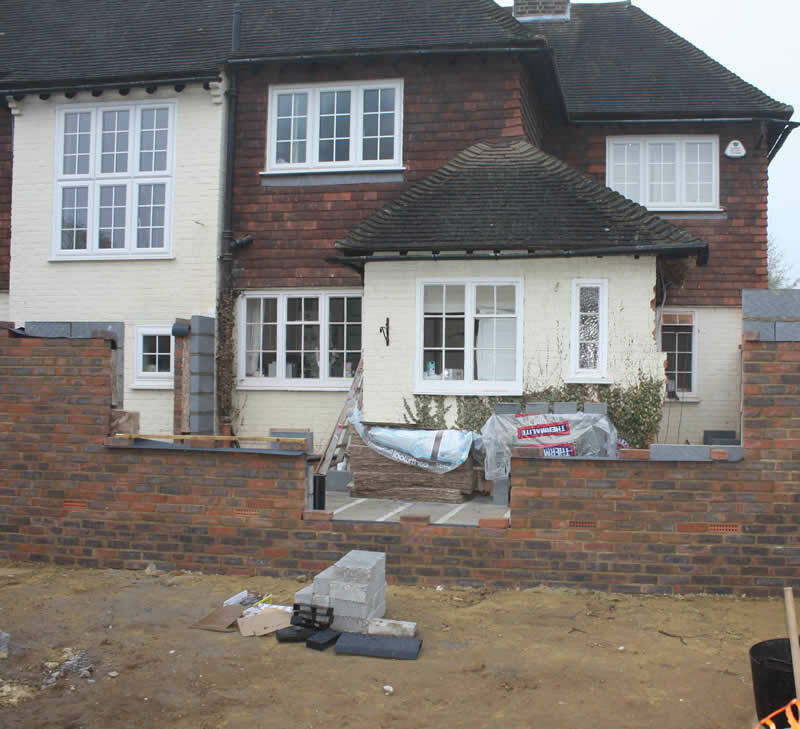 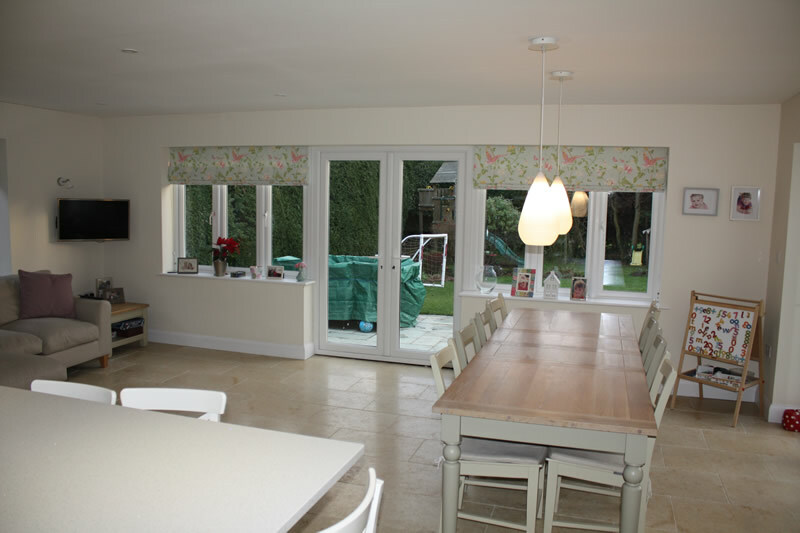 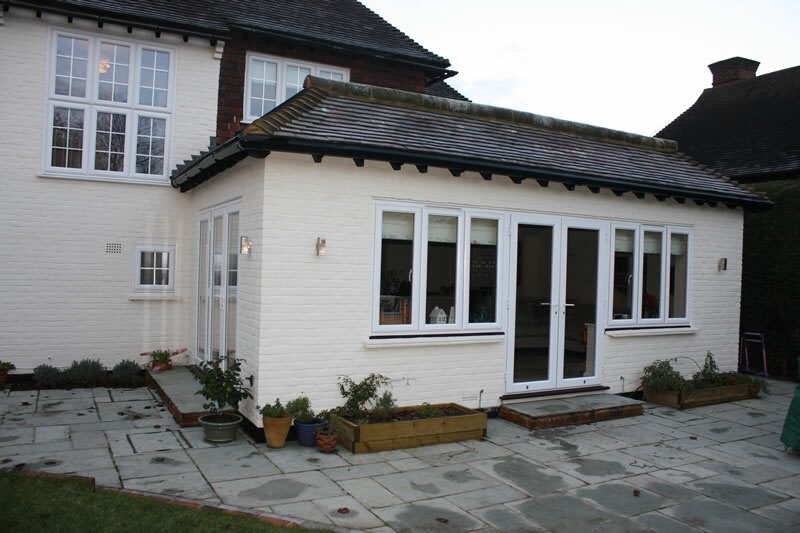 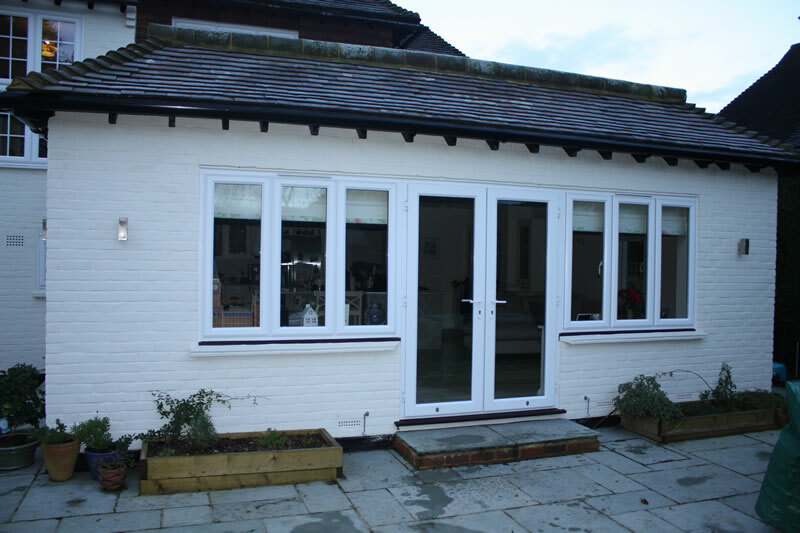 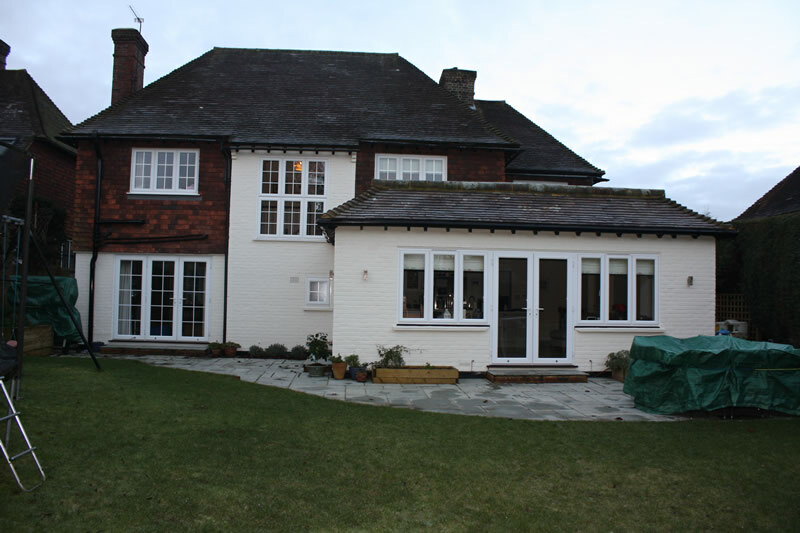 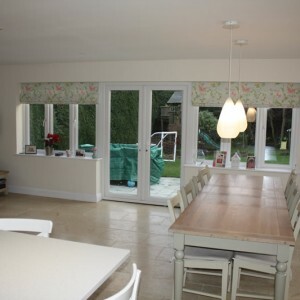 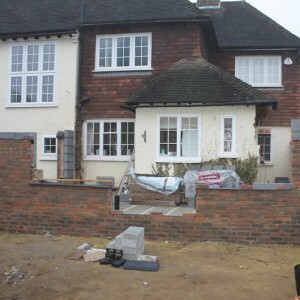 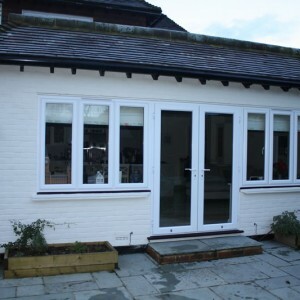 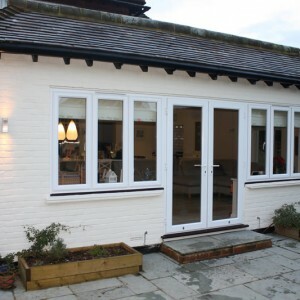 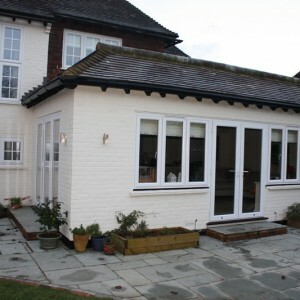 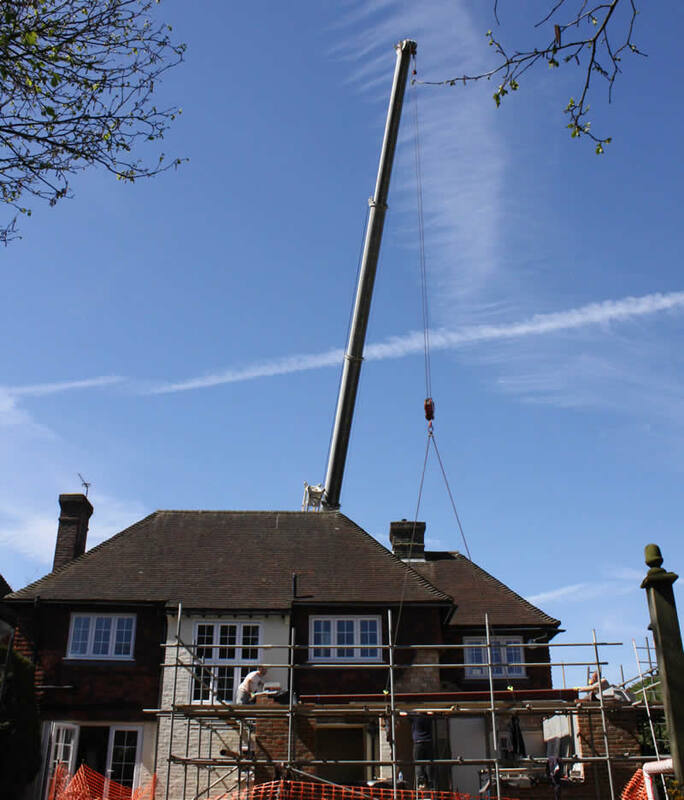 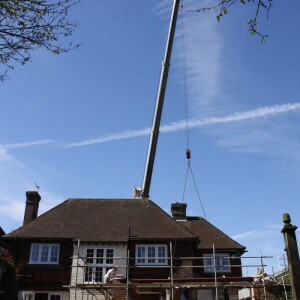 This project remains one of my favourite that we have carried out and have received other extensions refurbishment works of the back of people seeing it.